Did you know that mother’s day in Spain is celebrated on the first Sunday of May, and that it is celebrated in more than 20 different days around the world? In Italy and in the United States, Mother’s Day is on the second Sunday of May, so my mother always gets double the celebrations. But anyway, Mothers’ Day is drawing closer and as with many celebrations, it’s another day that shops take advantage of to sell their products. Prepare yourself, because you’re going to be bombarded with Mother’s Day gifts on all sides. And it’s here that I’m going to make a suggestion – how about this year we be less consumerist, and instead of buying a present we’ve put no thought into, we make a lovely brunch for our mums to enjoy in bed like the queens they are? Maybe after so many years of celebrating various special days we‘ve run out of ideas, but thank to the internet it’s easy to find a solution. I’ve been investigating the theme of Mother’s Day brunch on your behalf, and I think I’ve found some things you’re going to like. In any case, if you tell her you’ve made a brunch, not a breakfast, she’ll be even more surprised! My mother still doesn’t really understand what a brunch is, and I’ve been writing this blog for more than 3 years, so maybe if your mother is also not entirely up to date, this could be a good chance to modernise her a little. And if you’re worried about being a disaster in the kitchen, or you don’t have time to make anything, you can always order a brunch to be delivered to your house. 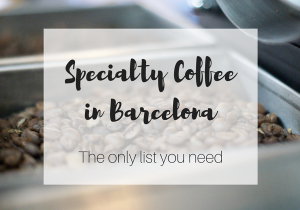 In Barcelona there are several companies that offer this service. I’ve only tried Baci d’Angelo, and I was very happy with it. If you’re already subscribed to the blog, you’ll probably have received a discount code to try it yourself. If you’re still not a subscriber, leave your details in the box below and get the complete list of brunch offers in Barcelona. And to round off this post, I’d like to speak to you about Mothers’ Day cards, which are the perfect accompaniment to a present but also for a home-made breakfast or brunch in bed. If you fancy something a little original, I’ve found two websites where you can download some beautiful cards for free.